Picturing Disney: Ohana means Family (as in Family-Style Dining)! 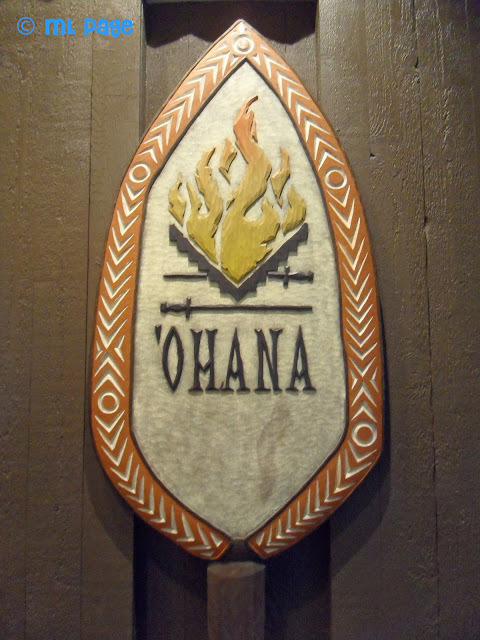 Ohana means family and you should take your family here! The restaurant was worth the wait! My husband and I actually had reservations here 3 times that we had to cancel before actually getting to dine with Lilo, Stitch, and pals (Mickey and Pluto for us). 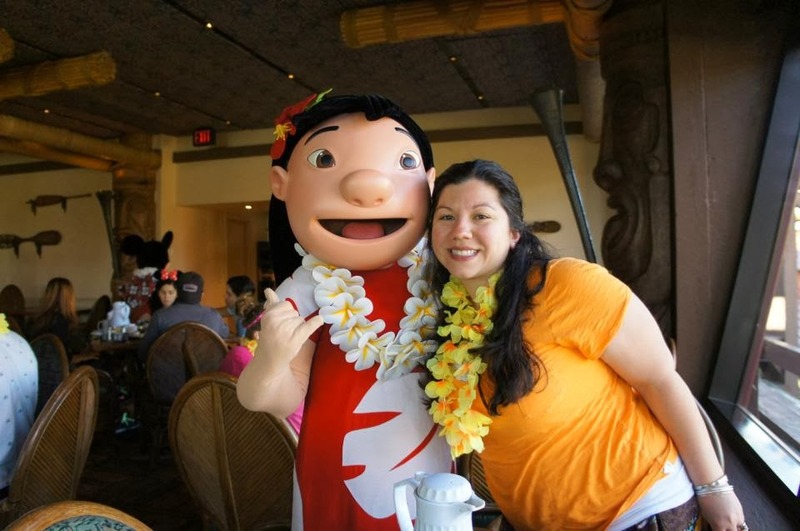 We loved the ambiance, character interactions, island theme, and the family-style breakfast selection. You get bread, biscuits, eggs, potatoes, sausage, bacon, of course mickey waffles and island juice all served continuously to your table. Breakfast is served until 11:00am. 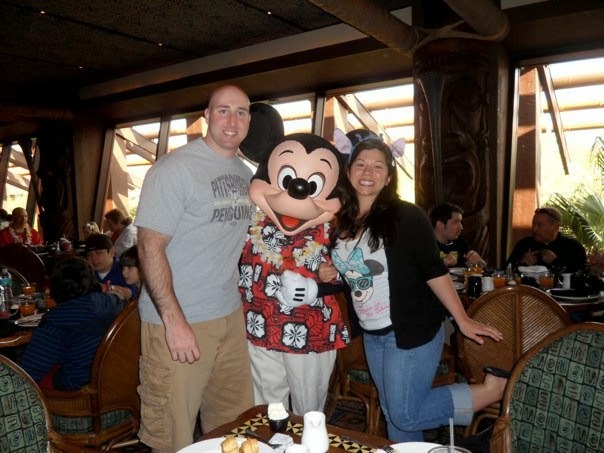 Reservations are tough to grab because characters are not present for dinner and the restaurant is closed for lunch. Book well in advance to secure your spot. The dinner here is served family-style. I have not eaten here but trust the reviews of friends who said its not to be missed! 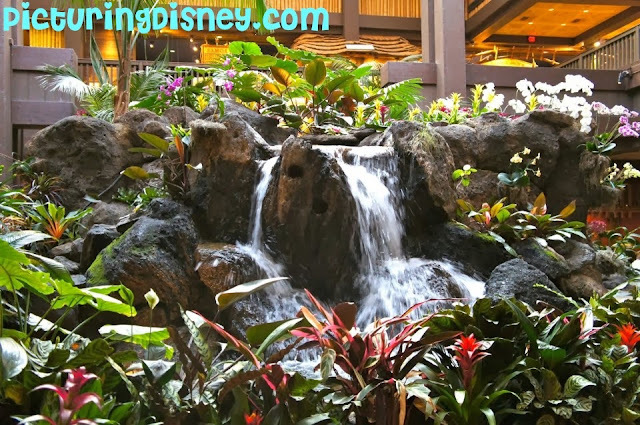 No matter when you visit, the Polynesian Resort is beautiful and worth a visit in and of itself! Trust me you will not be disappointed!